A warm, fluffy, freshly baked waffle fresh out of a Belgian-Style waffle maker is a special brunch treat. If you make extra and pop them in the freezer they can be an everyday treat for your kids after a couple minutes in the toaster oven. We tried out 26 waffle makers that bake traditional or thick Belgian-style waffles. 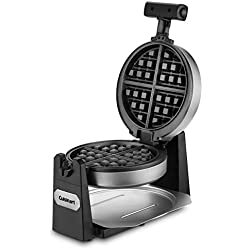 Here are our top picks in our quest to find the Best Belgian-Style Waffle Maker. 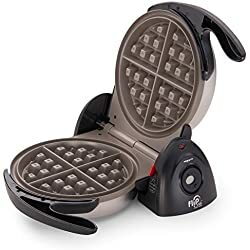 Once you settle on a great Belgian-style waffle maker, you’ll want to grab a waffle cookbook or two and try out creations like maple bacon waffles or gingerbread coffee! I like waffles because there are so many options low carb, sweet, savory, as a dessert even as a substitute for bread in sandwiches! 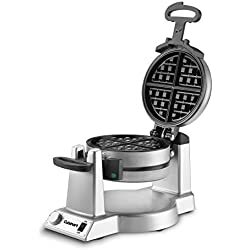 If you find the best Belgian-Style Waffle Maker and grab the right ingredients you’ll be good to go!